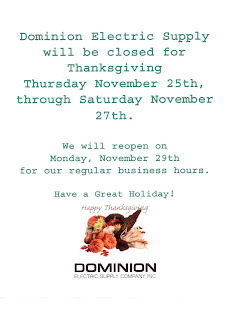 All of Dominion Electric Supply's stores will be closed Thu. 11/25 through Sun. 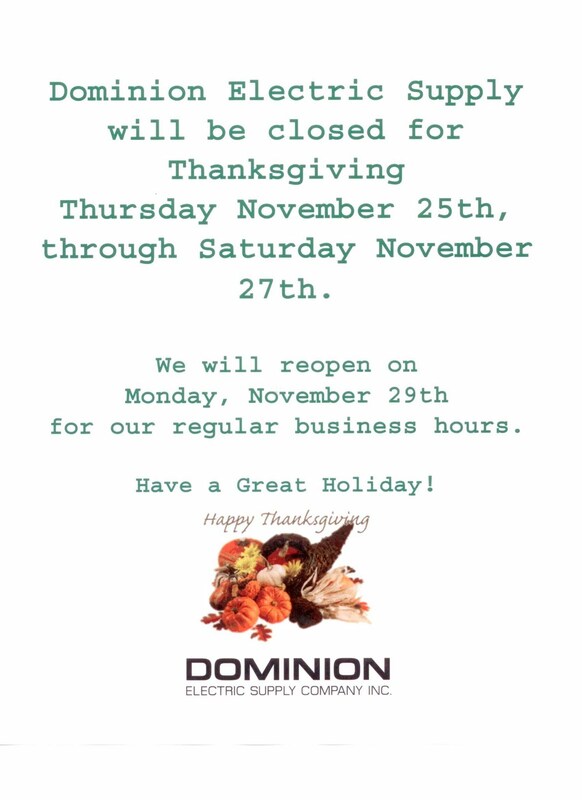 11/28 for the Thanksgiving holiday. Have a great weekend, and we'll see you next week. Happy Thanksgiving! Absolutely genius writing. I'm gonna link this to my friends at MSN. Great article. Keep them coming. Very good article. A good read. Thanks. I enjoyed reading this.Thanks for sharing your thoughts. Thank you. A very good piece.